Leading English winemaker Chapel Down and The Curious Brewery had ambitious growth plans and were keen to expand their Tenterden based vineyard with a new winery and hospitality offering whilst their new Ashford based home were looking to develop a brand new state-of-the-art brewery and visitor attraction. 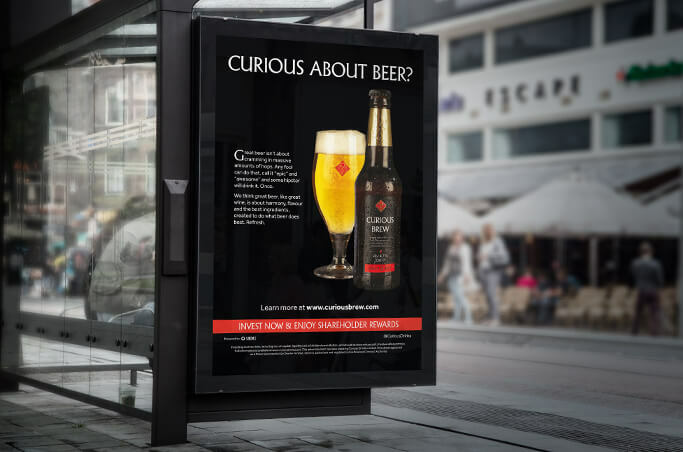 This was the first time a quoted company in the UK had decided to embark on crowdfunding as a way of raising funds, so it had to be engaging and targeted in a way to maximise brand awareness. By liaising closely with the internal marketing teams we developed a deep and thorough understanding of the key objectives and desired outcomes that would reflect as a positive ROI for the business. 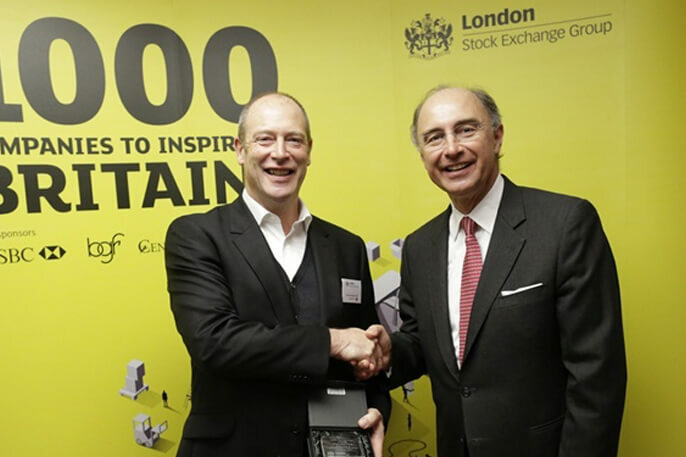 We also needed to collaborate with leading crowdfunding site Seedrs to ensure our suggested creatives were on track to deliver the most success for our client’s campaign. In both cases we used revised and newly created brand assets, to create a stylish 60pp, perfect bound share offer document that would appeal to high-end investors. The layouts contained editorial highlights, pull-out boxes, photography, charts, graphs and infographics to produce a sophisticated brochure that effectively communicated the investment opportunity. 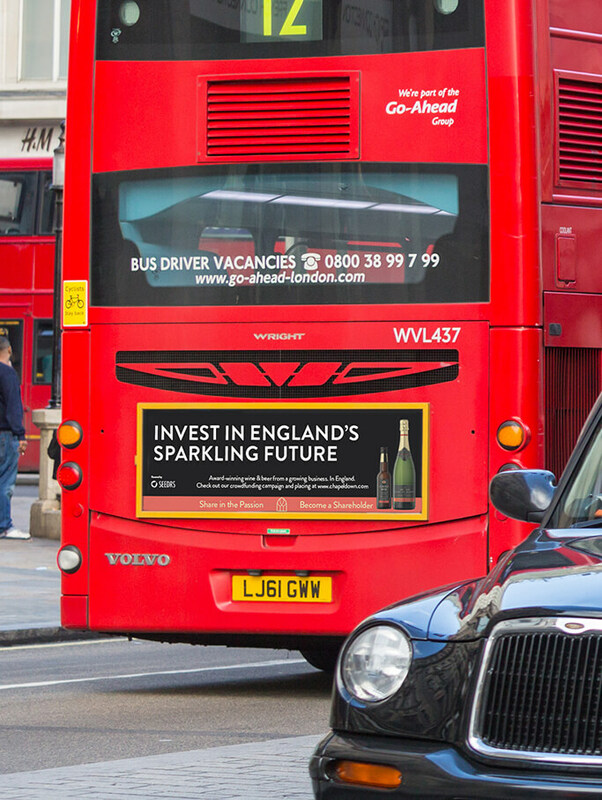 To work alongside this we created a number of highly visual adverts that were utilised in national print and varying outdoor advertising including the London tube and bus networks. 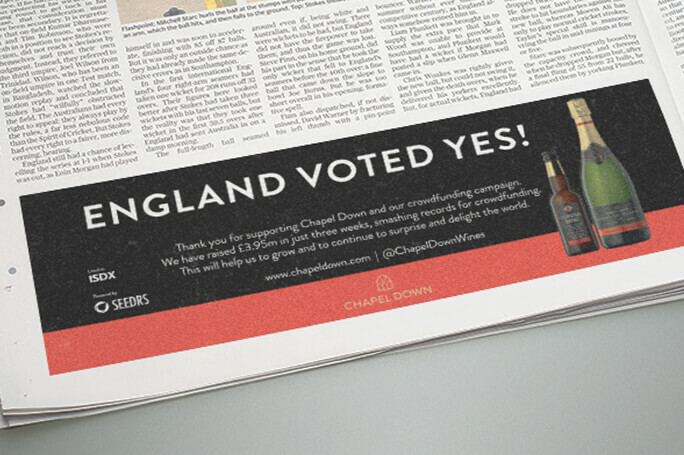 In both cases the campaigns exceeded expectations with Chapel becoming a world record crowd fund raising £3.95 million in just 24 days and securing 1,470 new investors. Equally the Curious brand surpassed their target by raising £1.7 million and attracting an army of brand ambassadors. As we understood it was not just about raising the funds, another key objective was to build a network of stakeholders, partners, brand ambassadors and key influencers that would raise their profile for years to come positioning them as the go to brand for wine and beers.